Can you hear that magical sound of a creek running through the rocks? 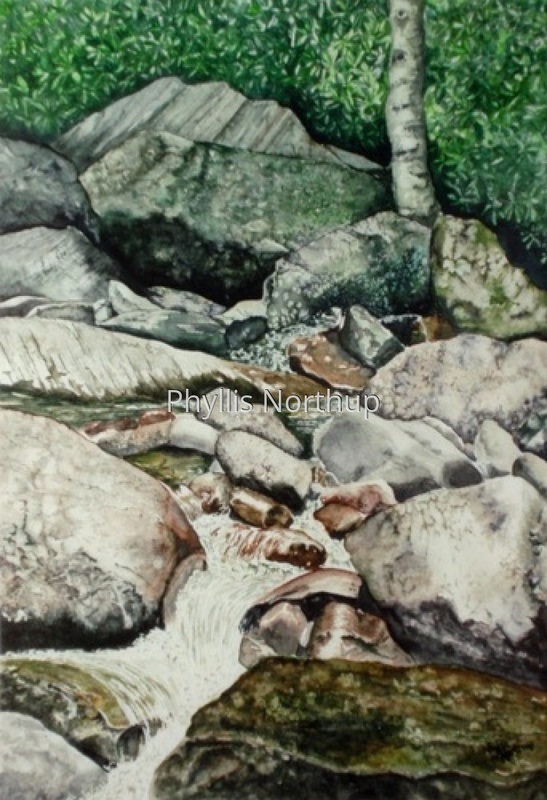 This painting was started sitting on the banks of the creek at the Chimney Tops picnic area in Great Smoky Mountains National Park; I even used some of the creek water to paint with! I finished it in the studio, with the music of that water echoing in my mind! Limited Edition Giclee Print from an original watercolor, also available as a small open edition print.